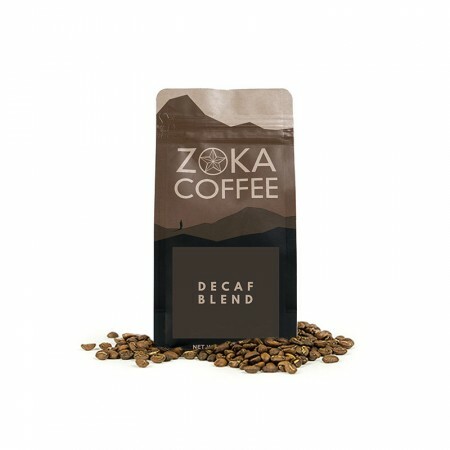 This is the Decaf Hidden City brought to you by Zoka Coffee Roasting Co. Simple and straightforward, this coffee is intended to appeal to a wide audience of dark roast lovers. We think this dark roasted decaf coffee has syrupy and rich notes of roasted nuts, molasses, caramel and smoke. I prefer lighter roasts with brighter profiles. This is great--good balance and smoke without being too woody. A current favorite decaf. Bold, dark roast. Rich finish.